Due to a thunderstorm warning for this evening we are forced to cancel the boat ride as well as the tour of the Massaro House and Frank Lloyd Wright Cottage. 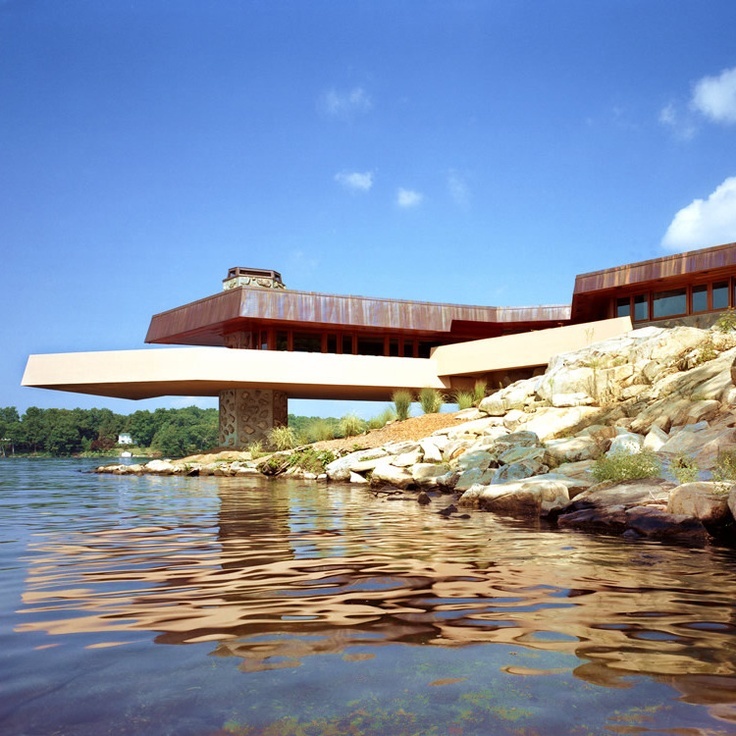 and the Frank Lloyd Wright Cottage House. If you do not want to pay online please fill out the contact form or call Tricia at 845-661-3002. 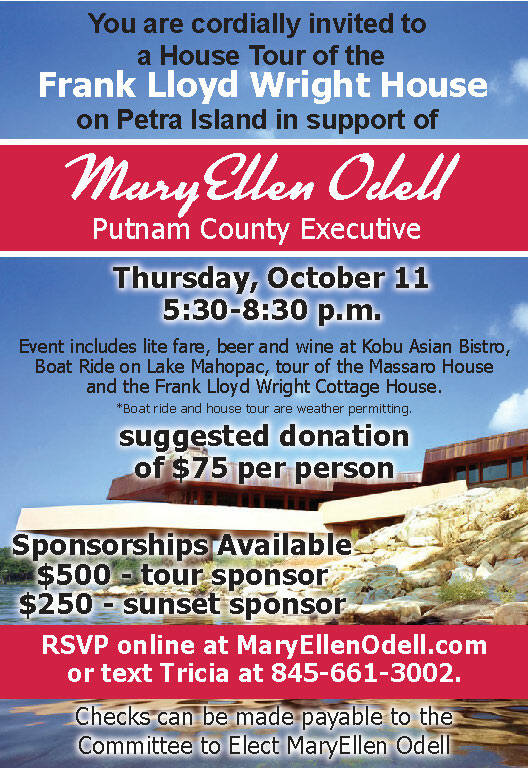 Donations can be made to: The Committee to Elect MaryEllen Odell, P.O. Box 1625, Carmel N.Y. 10512.